Yesterday, we have notified that French TV network TV5Monde had got hacked where whole broadcasting network was taken off along with its websites and Facebook page. Following the hack over the network law enforcement and French Intelligence started to investigate the incident. 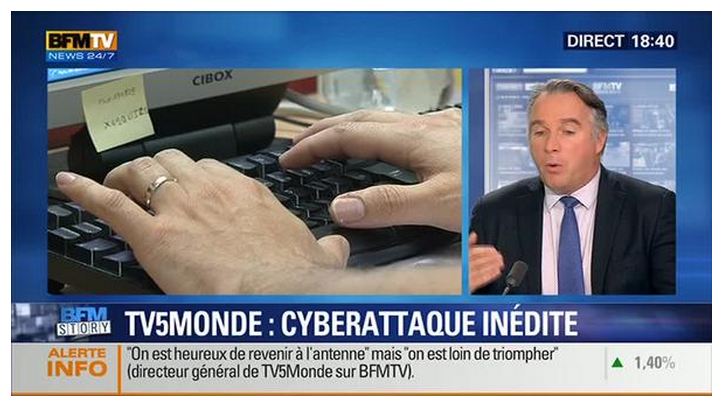 It was the nasty situation that a single interview of TV5Monde was the cause behind its own system hack. Investigator speculate that one of the possible way hackers obtained credentials for systems at TV French Channel TV5Monde is the view of an interview that accidentally revealed the precious information. 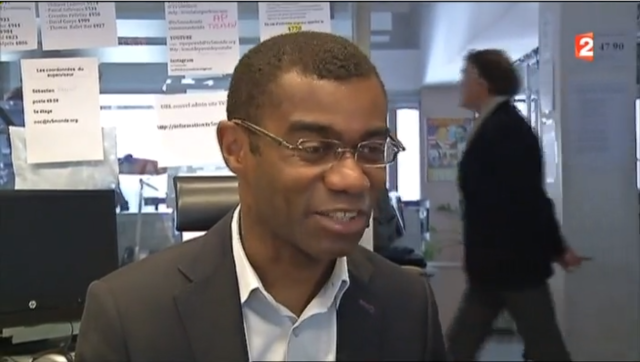 In an interview about the satellite hack with French news program 13 Heures, TV5Monde reporter David Delos unwittingly revealed at least one password for the station's social media presence. That's because he was filmed in front of a staffer's desk—which was smothered in sticky notes and taped index cards that were covered in account usernames and passwords. The passwords visible in the video interview are related to Twitter, Instagram and YouTube accounts. It was very difficult to read the username and password of Twitter, Instagram. But the YouTube password was easy to read, it was “lemotdepassedeyoutube” which means in English “the password of YouTube”. In an another video, another login credentials revealed, written on the sticky note paper attached in the front of the monitor which clearly reads “azerty12345”, the French-keyboard equivalent of "qwerty12345". This was the password used on the main server hosting the website and other data of the TV5monde broadcaster. It seems that TV5Monde didn't follow the correct password strength and use such a weak passwords for logins. This story gives a strong lesson to all that if you spend heavy money on security your infrastructure, you continue vulnerable to human error, with social engineering. Such kind of silly mistake can cause very big loss.